On 15th November 2018, the railway social partners, the European Transport Workers’ Federation (ETF) and the Community of European Railway and Infrastructure Companies (CER), gathered for the annual plenary meeting of the Rail Sectoral Social Dialogue Committee. The main topic on the agenda were women in transport and the 5th Annual Report on Women in Rail and the results of joint work on this topic were presented. After hard negotiations, it was decided that the collaboration between rail social partners will be deepened by entering into negotiations of an Autonomous Agreement to promote women in the rail sector. The Women in Rail (WIR) Task Force has been given the mandate to prepare the negotiations that should start in the second half of 2019. Apart from that, the attendees had the opportunity to exchange views with DG MOVE Deputy Director-General for Investment, Innovative & Sustainable Transport, Ms. Maja Bakran, with DG MOVE Head of Unit Rail Interoperability and Safety, Mr. Keir Fitch, and with Ms. Anna Gigantino, European Railway Agency Head of Analysis and Monitoring Unit. 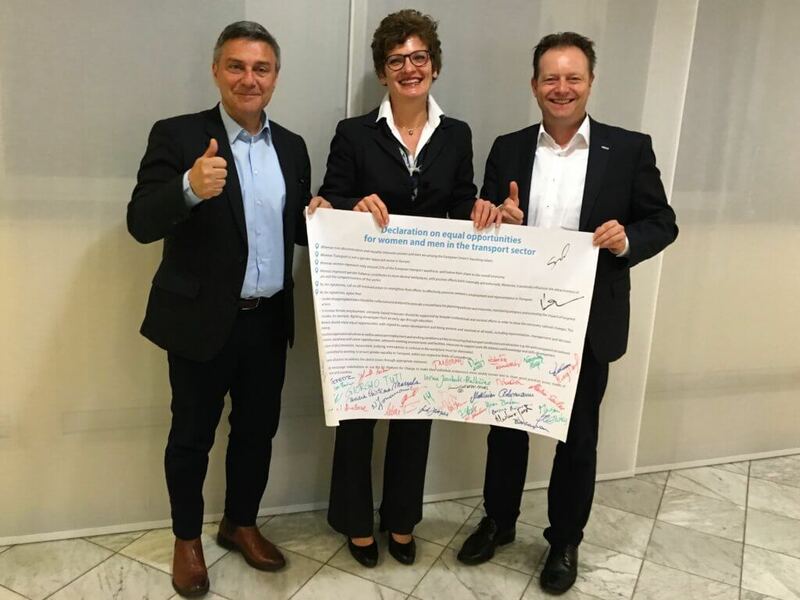 The SSDC President Giorgio Tuti and the Vice-President Matthias Rohrmann handed the Platform for Change Declaration signed by CER and ETF members to Ms. Bakran.